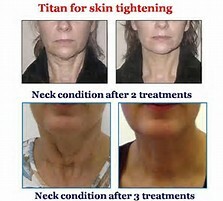 Titan Facelift without surgery or downtime! Package of 3 receives 20% off! 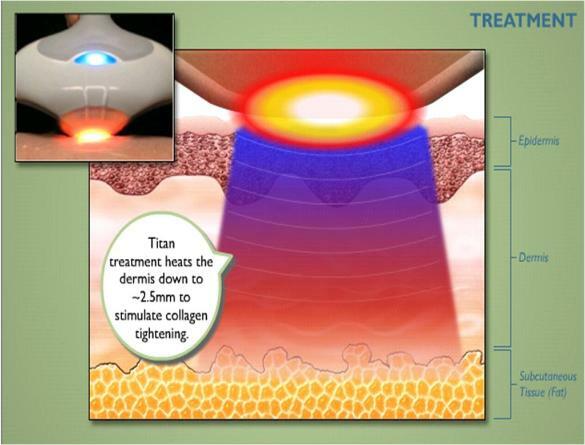 The new Cutera® Titan® gives you an all-natural option that uses light energy to heat the dermis deep beneath your skin’s surface. Titan is an ideal solution, without surgery, recovery time, or injections. Patients have been successfully treated on many areas of the body. The most common areas treated are the jawline, under the chin, and the abdomen.